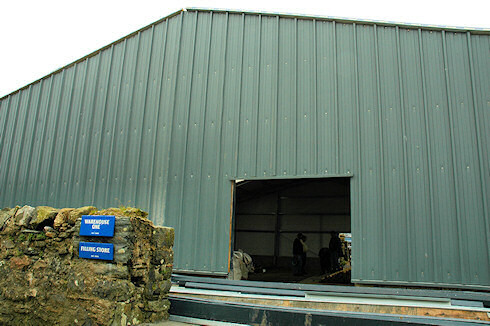 The picture shows Warehouse One at Kilchoman under construction, a few months before the first whisky was distilled at Kilchoman in November 2005. Since then the warehouse has been filled and as of this week the first whisky has been sold. Not that the warehouse is particularly photogenic, but I'll post the larger version of the picture on the Islay Pictures photoblog as usual tomorrow morning. And with that I wish you a good night for now.